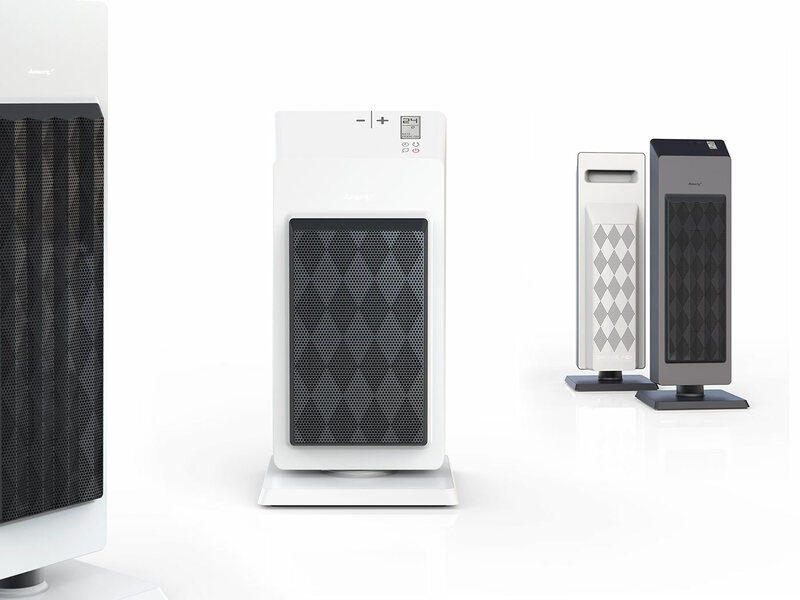 Achieving a more visible differentiation to an increasingly crowded field of competitors appliance maker Airmate needed to reach younger single households and families by merging design trends of consumer electronics and gadgets into a fresh look for its heater appliances. 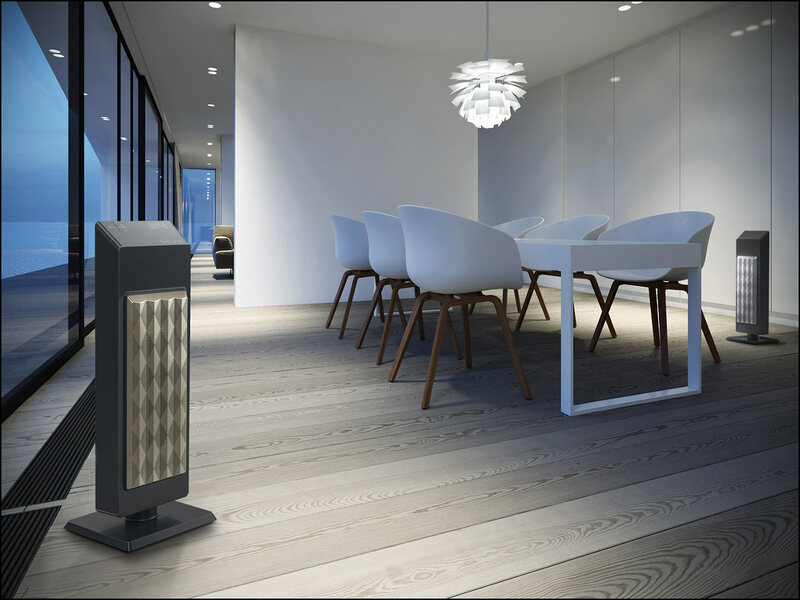 With the mostly cost-driven heater category dominated by complex-engineering driven designs, Airmate and Envary opted to take a more architectural driven aesthetic direction that would simplify the heater’s form factor and contemporarily define its look. 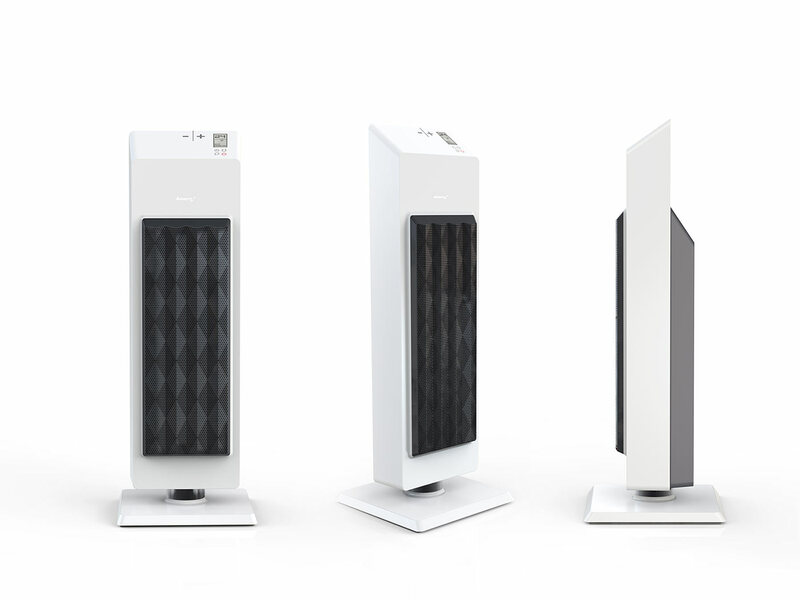 Envary developed two heaters: one compactly-short entry model – easy to ship in order to increase Airmate’s e-commerce activities, and one taller version targeted for retail sales. 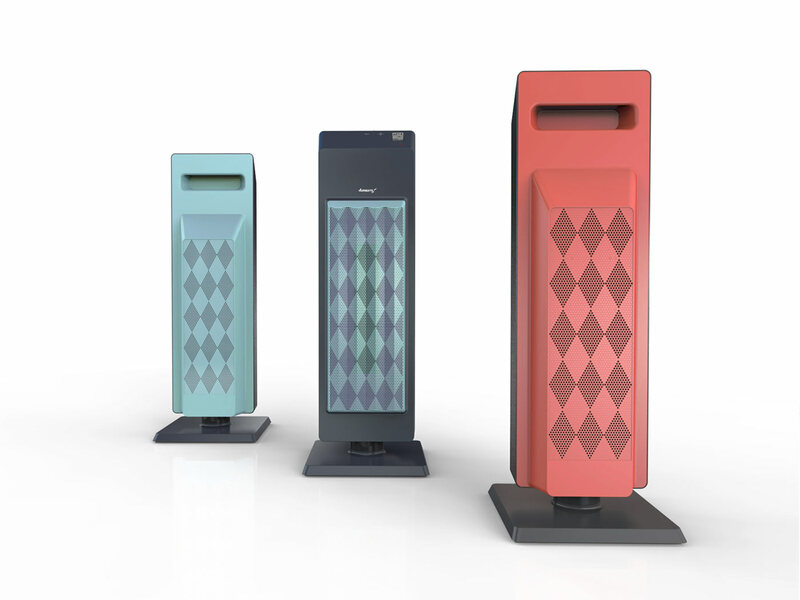 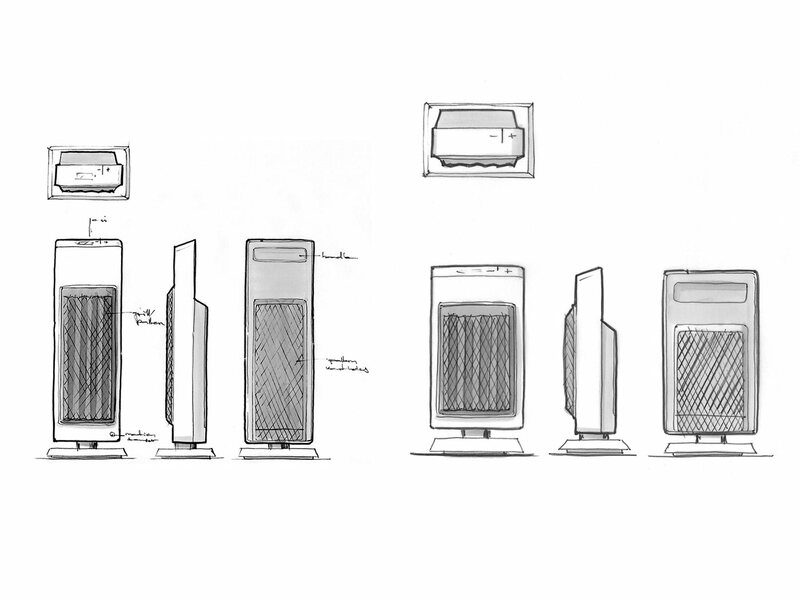 What we did: Following the increasing number of consumers wishing for appliances that simply blend into clean-lined contemporary interior fit-outs, we developed Airmate’s ceramic tower heater “Rhombus” on the principle of vertical architecture – visually composed from two arrays of tightly arranged verticals. 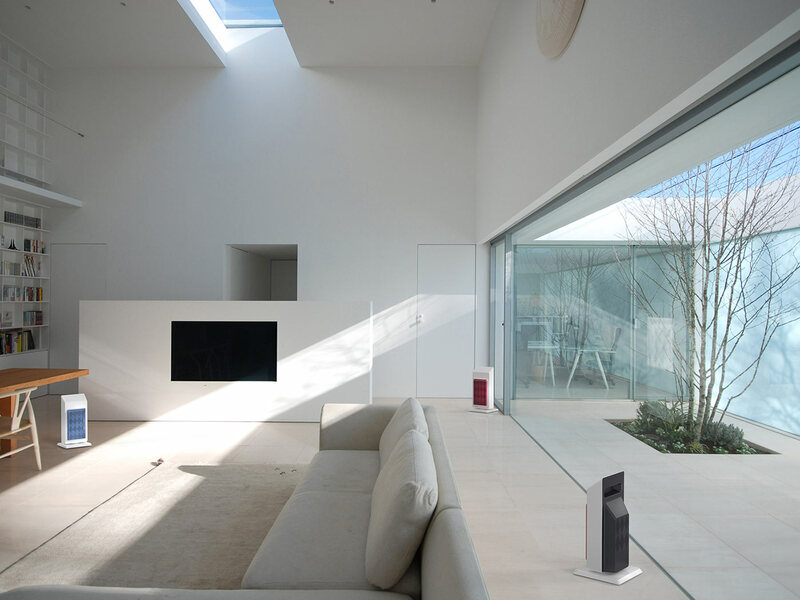 Although its slim appearance resembles one or the other skyscraper, its concept relies completely on elegant practicality. 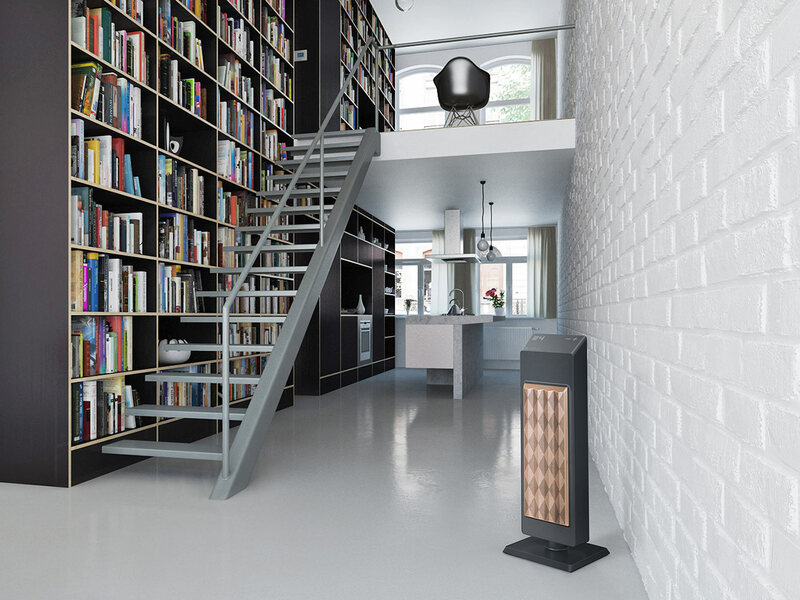 Front and rear side of the enclosure combine a contrasting form factor composition, yet with its metal-plated front-face mesh the heater also unites decorative qualities. 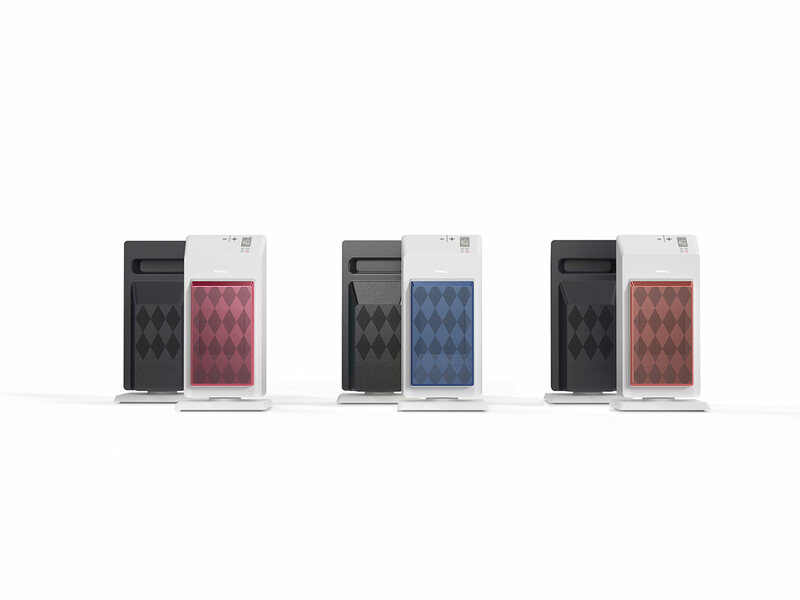 The backlit user interface is practically integrated on the tilted top, housing two barely visible touch capacity buttons that further unclutter the products aesthetic qualities.